I am a protector. I sit on a bridge. One person can see right through me, while others wonder what I hide. What am I? Why Batman Riddler Sun-Staches, that's what! 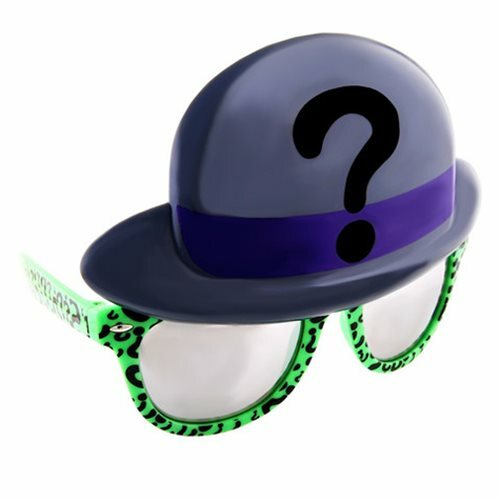 These awesome looking glasses feature the Riddler's iconic hat and iconic print. Never leave home without your Batman Riddler Sun-Staches. Measures approximately 6-inches across. One size fits most and all Sun-Staches provide 100% UV400 protection. Ages 14 and up.